It’s been a busy week here at The Cat’s Pajamas. I hope you’ve enjoyed our Sneaky Peek Week. The Cat Pack did an AWESOME job showing off our March Release. 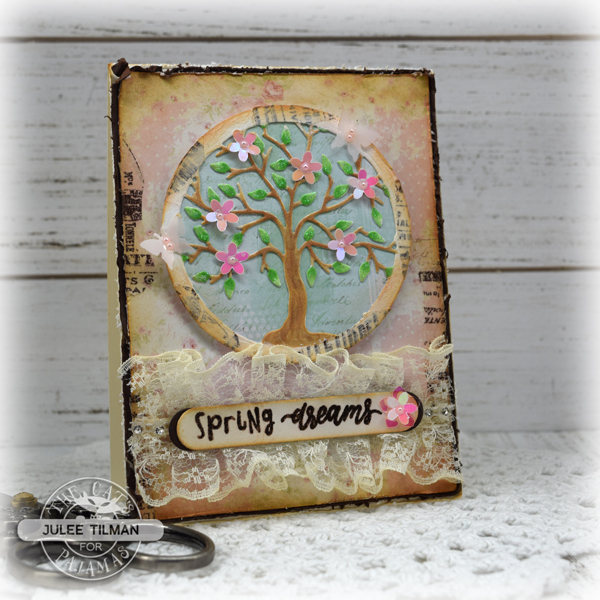 Julee Tilman creates a this wonderful Spring card with our NEW Round Flower Duo CutUps and Simply Stacked Sentiments Stamp Set. 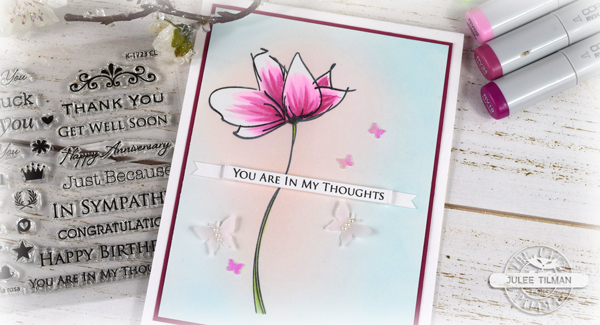 Butterflies from the NEW Spring Confetti Mix. 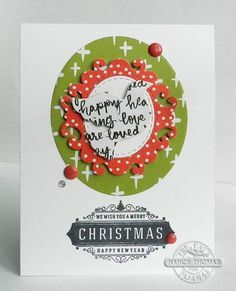 Christine Okken doesn’t monkey around with her card using the NEW Jungle Boogie Stamp Set, adorned with the NEW Green Holographic Holeless Sequins. Speaking of Foxes. Nancy Thomas floats a sweet fox in front of a cutout created by the NEW Spring Tree Duo. 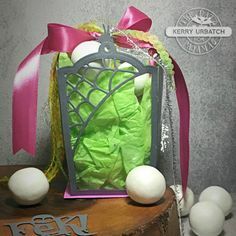 The sentiment is stamped on the stitched banner and the balloon adds color. 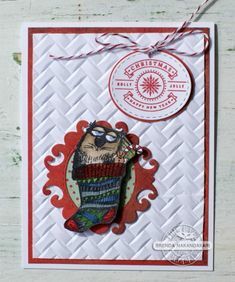 Cristena Bagne has me singing with her Cinco de Mayo Cactus Shaker Cards. She uses the NEW Cinco de Mayo Stamp Set and NEW Holeless Sequins. 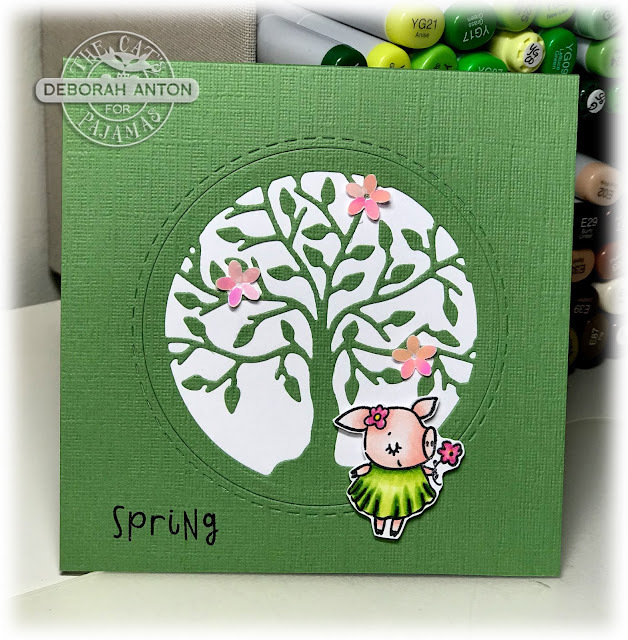 Beata June’s funny pig floats amongst the flowers in this sweet card. 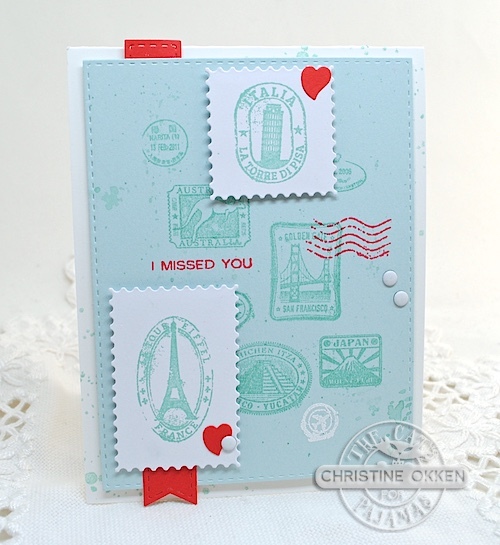 Kerry Urbatch uses the NEW Travel Stickers to create the perfect background paper. 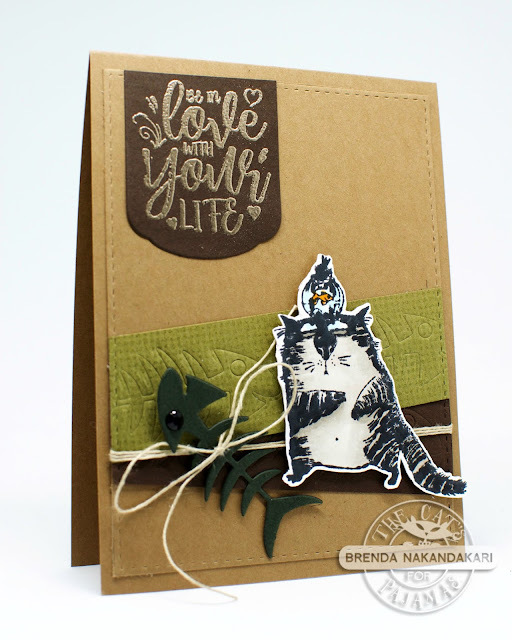 She uses the 4 Seasons Duo to paper piece the focal piece of this card. The frames are a great backdrop. 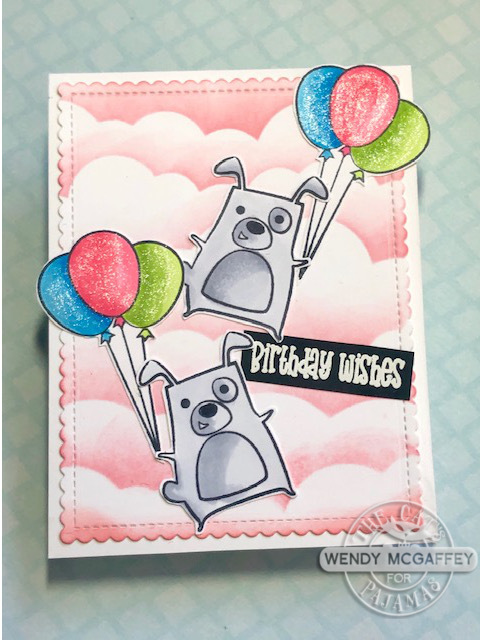 Wendy McGaffey floats above it all with sweet pigs in postage frames. 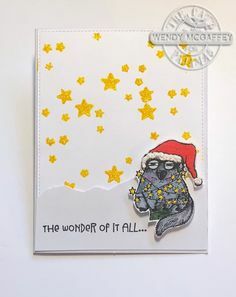 Plant yourself down and give yourself enough time to just look at everything going on in this outstanding card by Rebekah Weckerly. Her desert landscape is and wonderful place for our NEW Cacti to be. 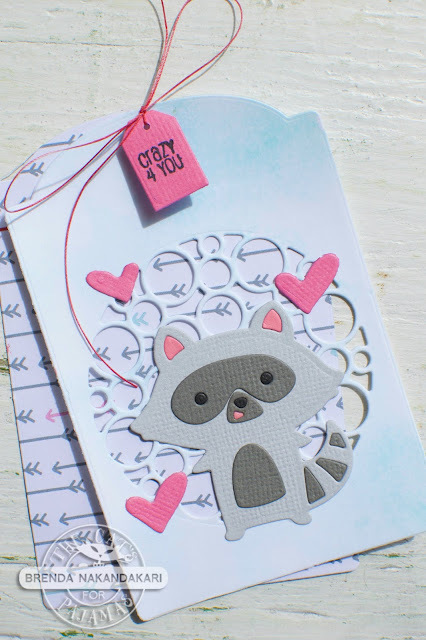 I don’t have enough to say about this adorable card by Deborah Anton using our NEW Mailbox Duo Die and For Fox Sake Stamp Set. Here is a quick video showing how I made it. I did change it a little bit from the photos. Take another look at The Cat Pack’s cards. They are amazing. Day # 6 of Sneaky Peek Week has sprung here at The Cat’s Pajamas. There are just a couple more sleeps until our March Release on March 26. Today, we are Sneaky Peeking our NEW Round Spring Flower Duo CutUps. 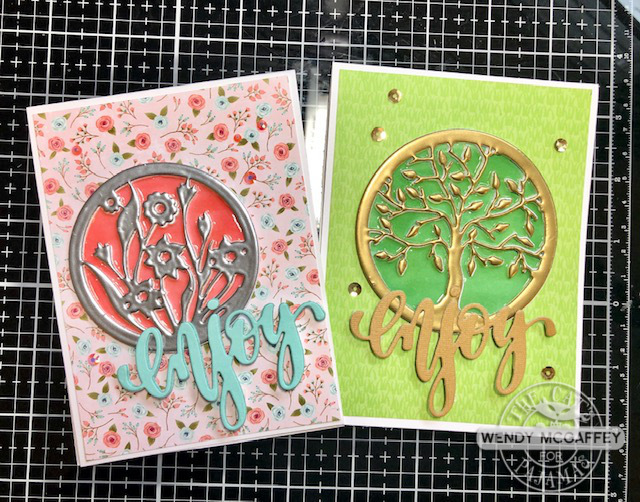 Full of Spring Flowers surrounded by a pierced circle, it’s a great set of dies that has so many possibilities. 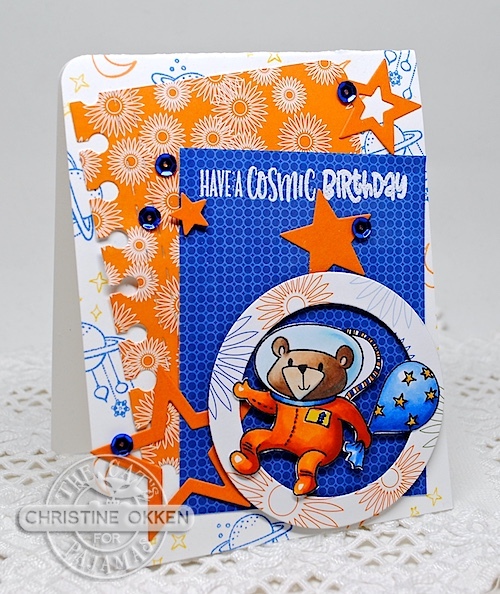 Kicking off the Sneaky Peek is this DARLING card by Cristena Bagne. 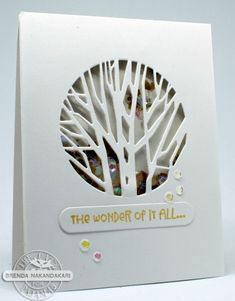 Her soft and pretty card shows off the NEW Round Flower Duo as a shaker card filled with our NEW Spring Mix Confetti. The fox from the NEW For Fox Sake Stamp Set adds the perfect amount of whimsy. 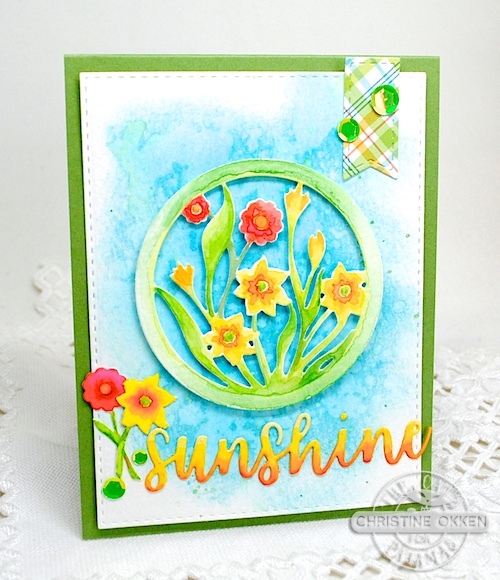 Rebekah Weckerly creates a beautiful background behind the NEW Round Spring Flower Duo CutUps cut out. 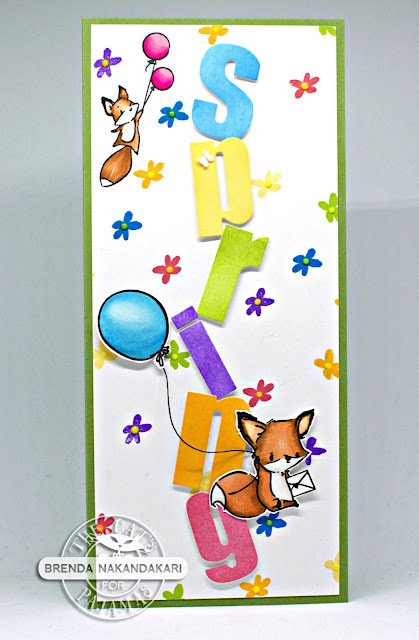 She adds in the sentiment from the NEW For Fox Sake Stamp Set and Sequins to turn the flowers into daffodils. Then, she adds the butterflies from the NEW Spring Mix Confetti, bending them to give more dimension. What a beauty. 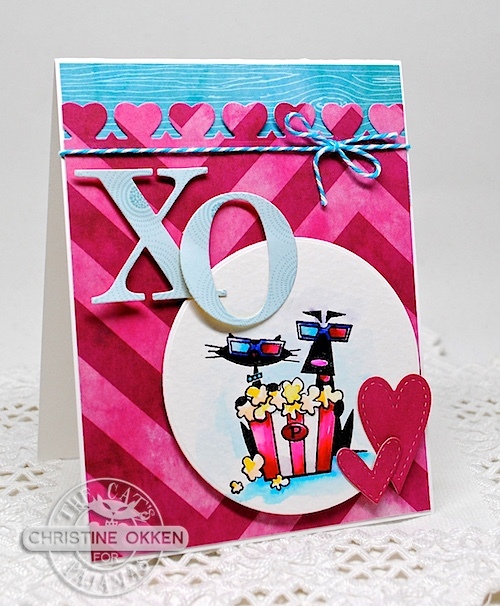 Finally, Deborah Anton creates a card with such sweet whimsy. Her beautifully colored Fox “waters” the flowers with our NEW Holographic Green Holeless Sequins. I don’t know about you, but this Sneaky Peek, I had to give myself a little hug because of all the sweetness. Did you feel the same? Comment on each of the following blogs and instagrams and let them the designers know what you felt.. You could win a $10 gift voucher. We’ll pick a winner each day this week from the comments on the blogs and instagrams and post the winners here and on our Facebook page. Waterligly57! Congrats! Please contact me to claim your prize. We have a fun March TCP Tuesday for you. 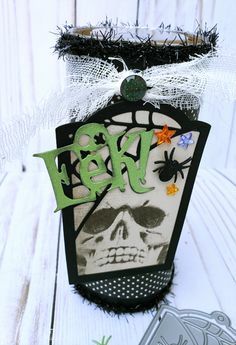 The challenge is titled Envie Envy because we want you to decorate an envelope to go with your project. It can be as simple or as detailed as you would like. There is a $50 gift voucher up for grabs and you have until the end of the month to complete. 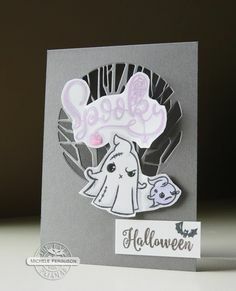 TCP products are not required to participate but we love to see you using our fun stamps and dies. We had so many super entries for the February challenge but there can only be one winner! And that winner of February’s TCP Tuesday #354 Challenge is Deepti. Please contact admin (admin at thecatspajamasrs dot com) to claim your $50 gift voucher. Congratulations! The TCP Tuesday #354 challenge is going strong. It seems a lot of us love our Furry Friends. You still have until the end of the month so there is plenty of time to get a project in for this challenge. There is a $50 gift voucher up for grabs! Welcome to the February TCP Tuesday challenge. This month’s challenge features a theme of Furry Friends. TCP products are not required but we do love it when you use them. 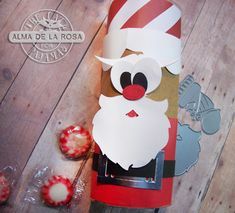 We had so many super entries for the January challenge but there can only be one winner! And that winner of January’s TCP Tuesday #353 Challenge is Holley. Please contact admin (admin at thecatspajamasrs dot com) to claim your $50 gift voucher. Congratulations!